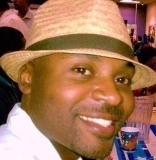 Aaron was last seen in Hayward, California on May 24, 2011. He has never been heard from again. Few details are available in his case. Updated 2 times since October 12, 2004. Last updated August 24, 2017; picture added.